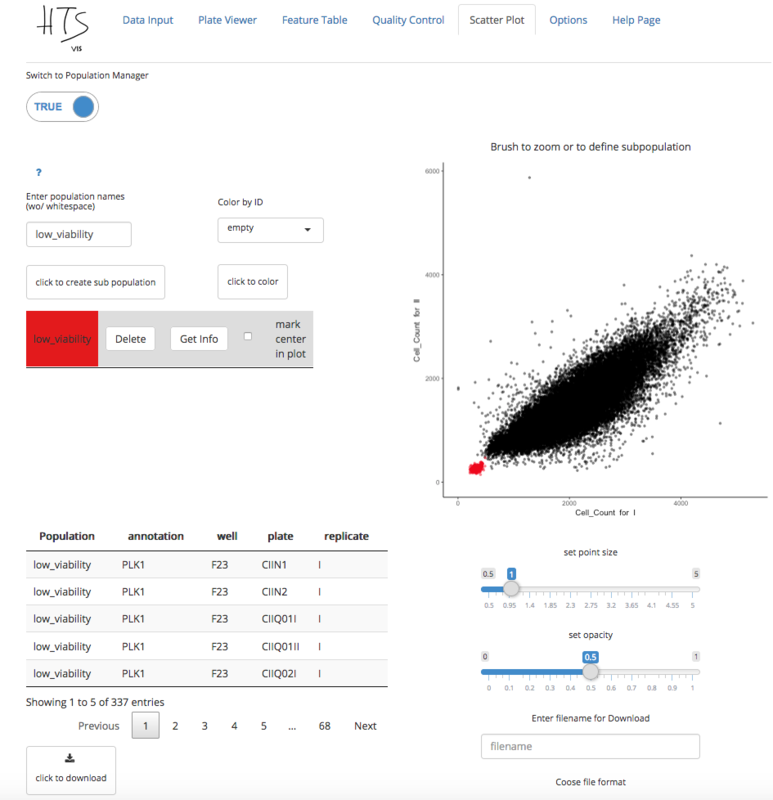 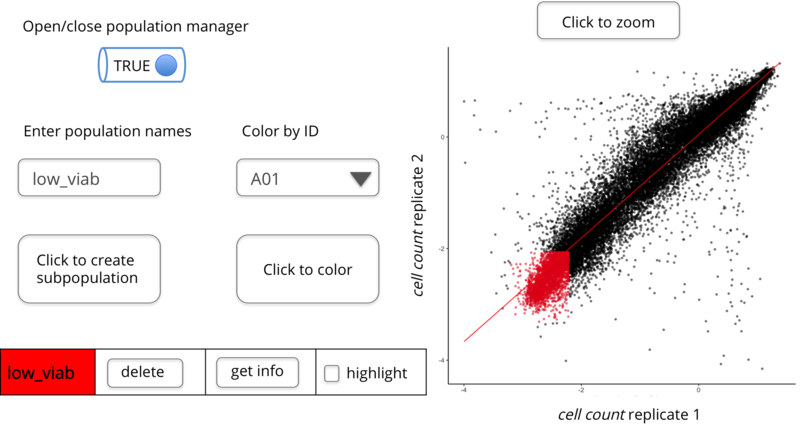 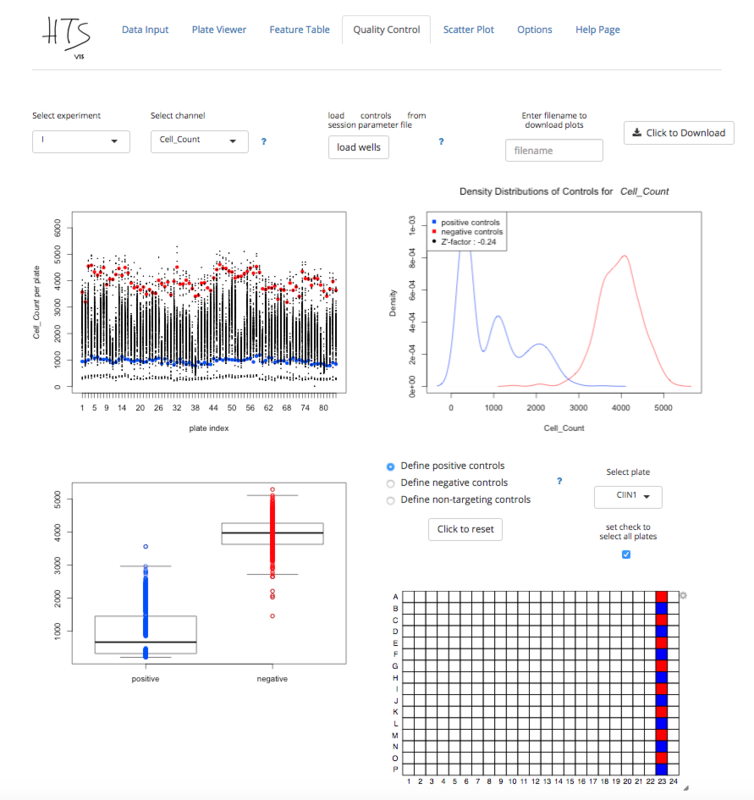 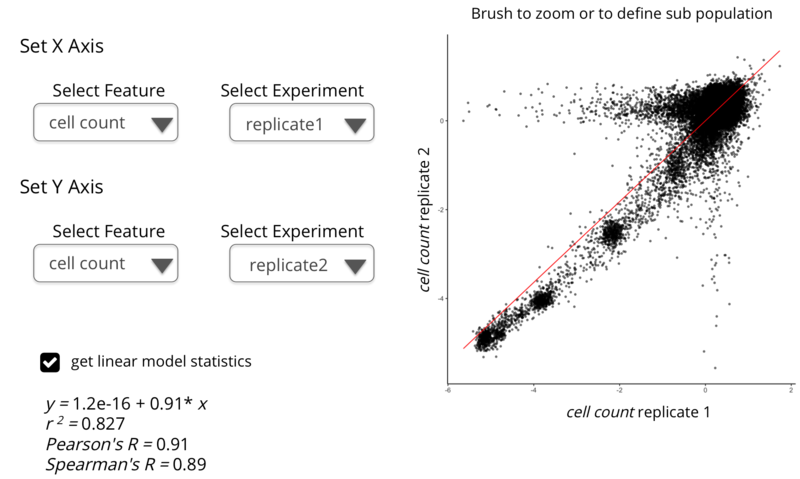 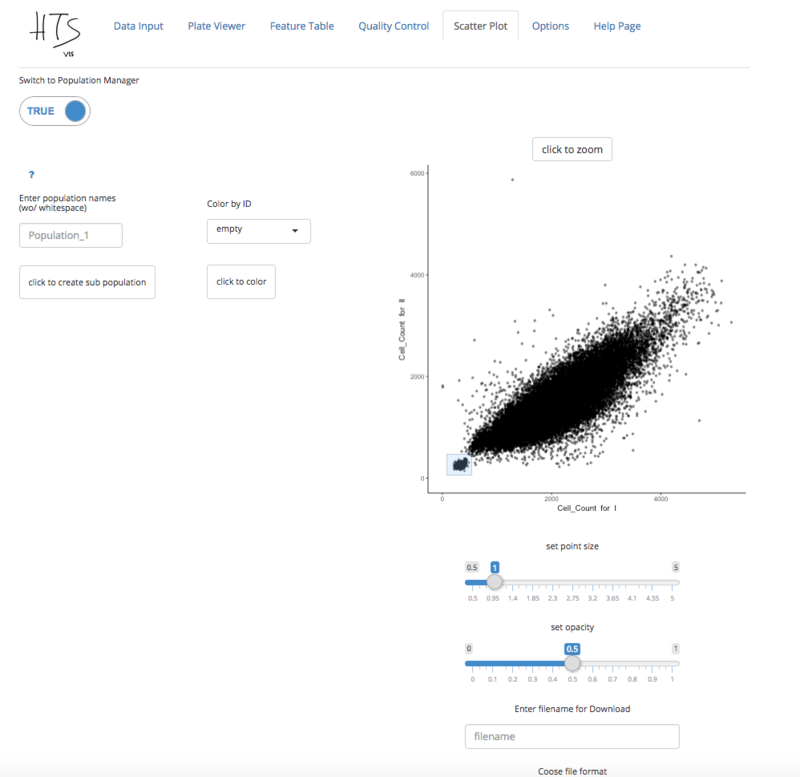 Arrayed high-throughput screens (HTS) cover a broad range of applications using RNAi or small molecules as perturbations and specialized software packages for statistical analysis have become available. 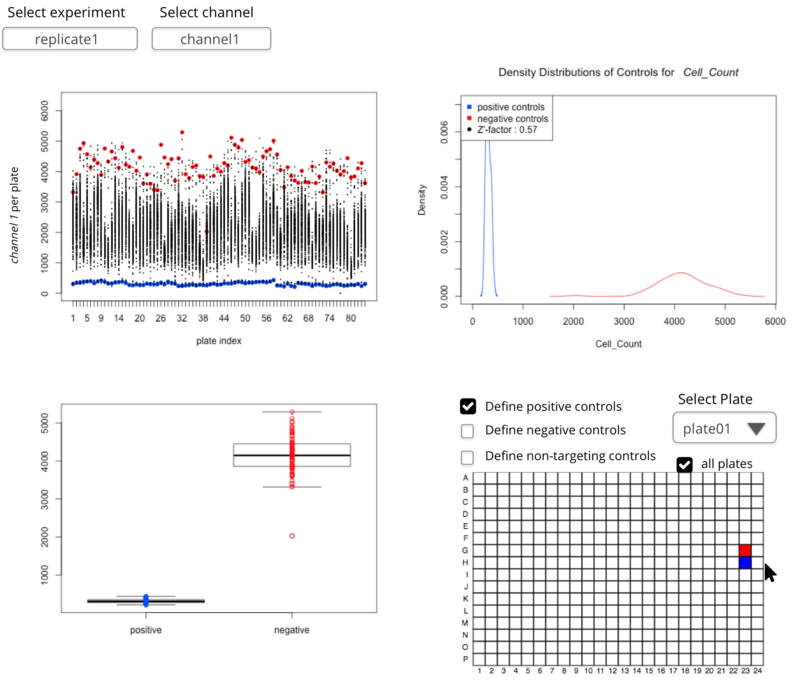 However, exploratory data analysis and integration of screening results has remained challenging due to the size of the data sets and the lack of user-friendly tools for interpretation and visualization of screening results. 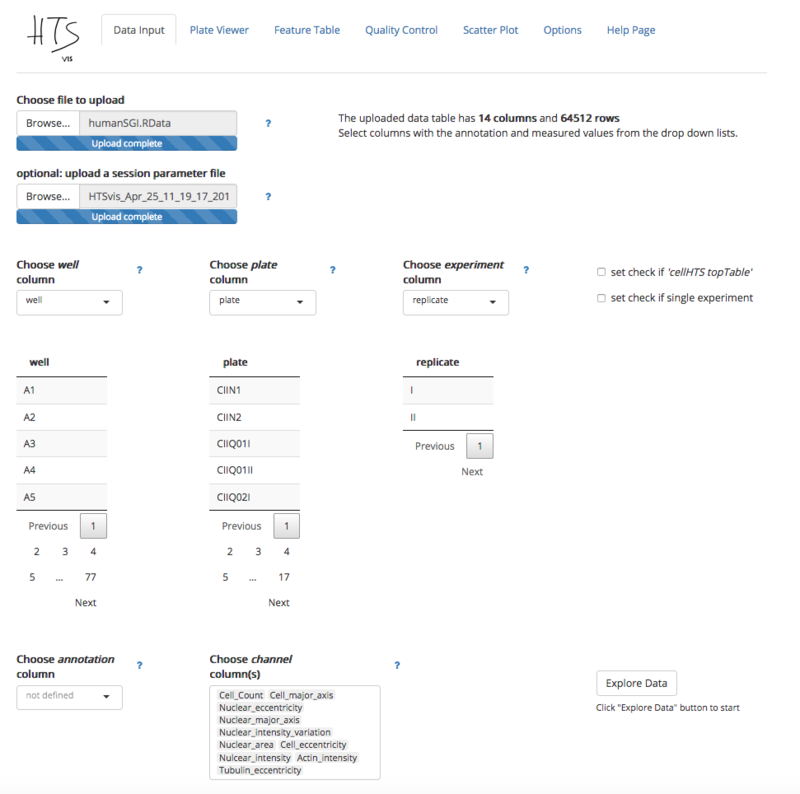 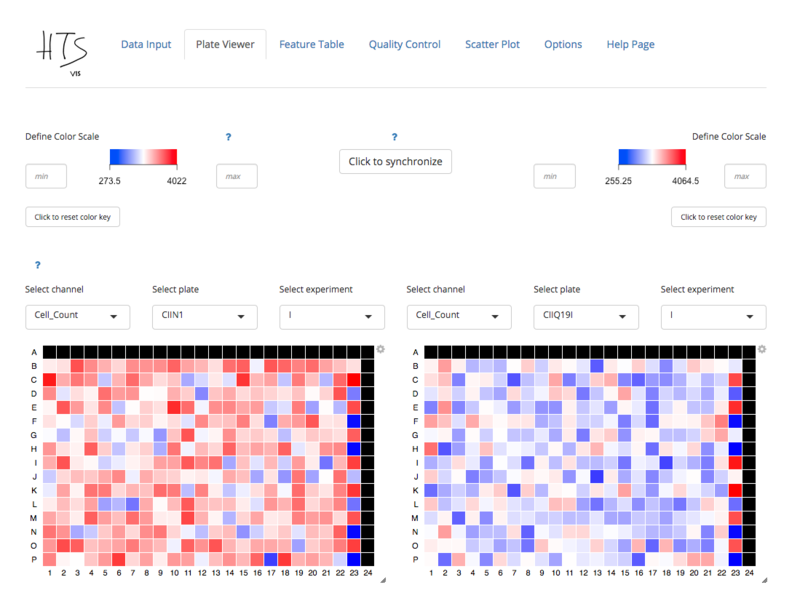 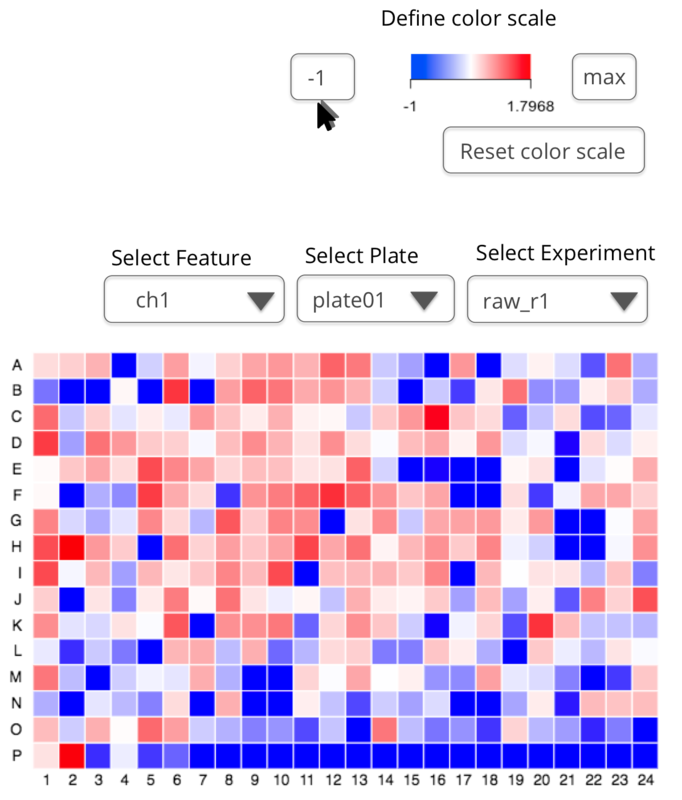 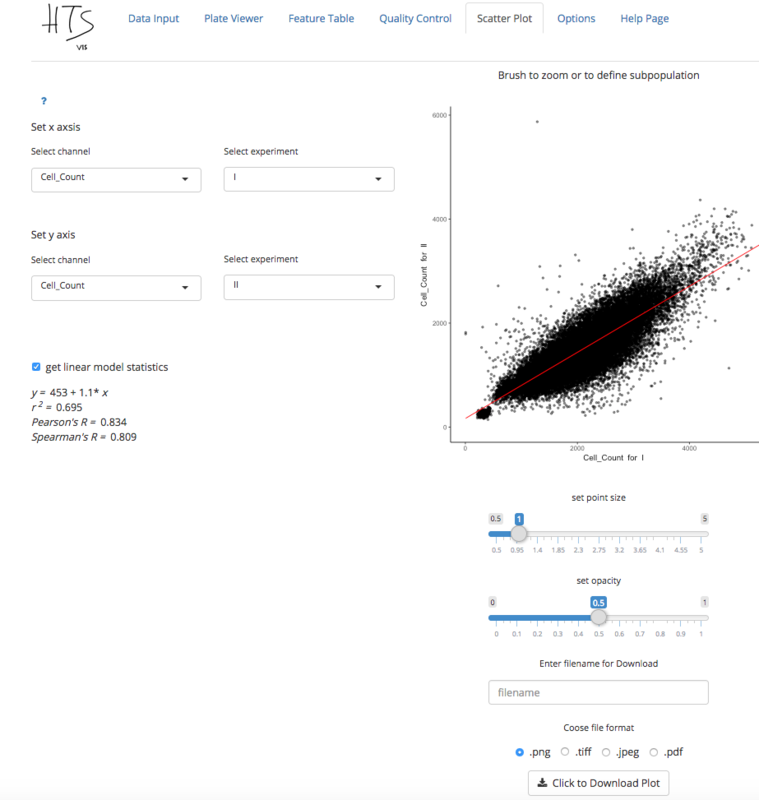 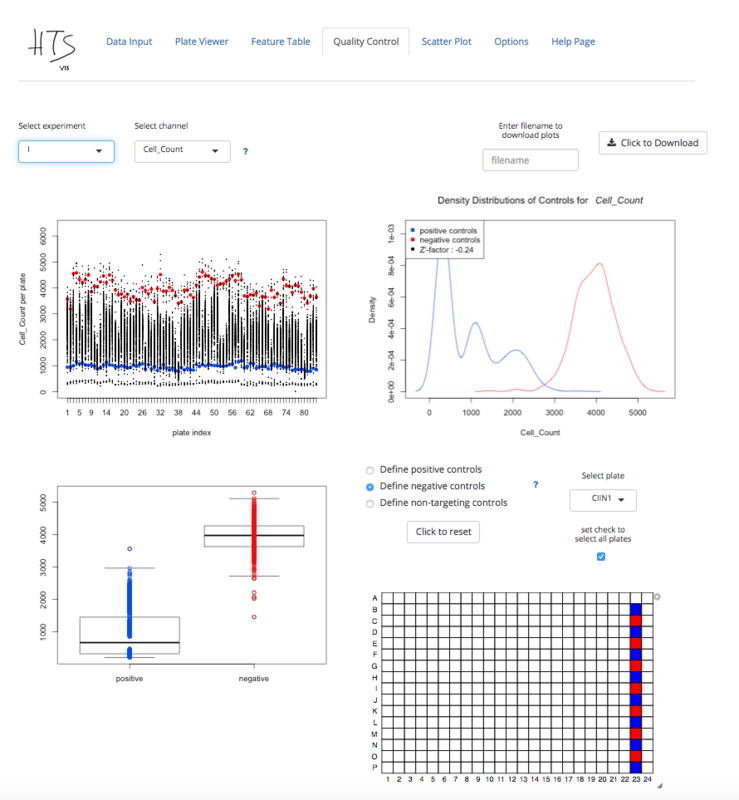 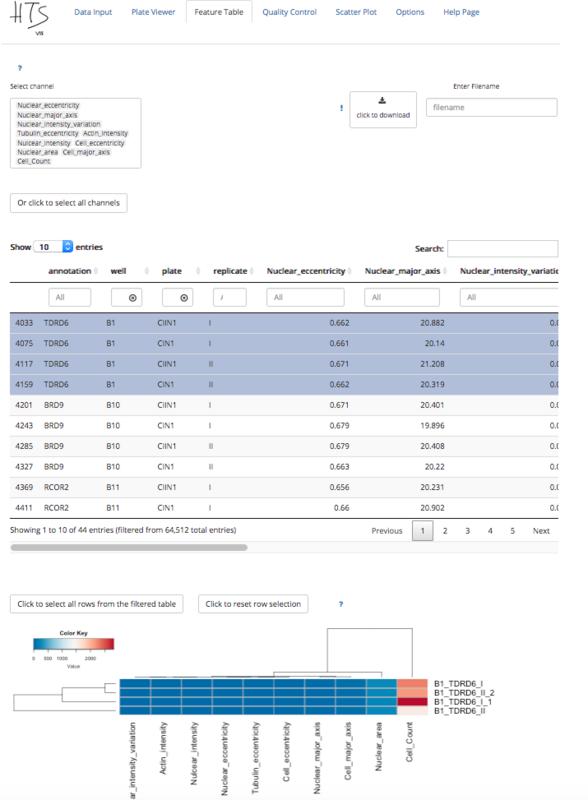 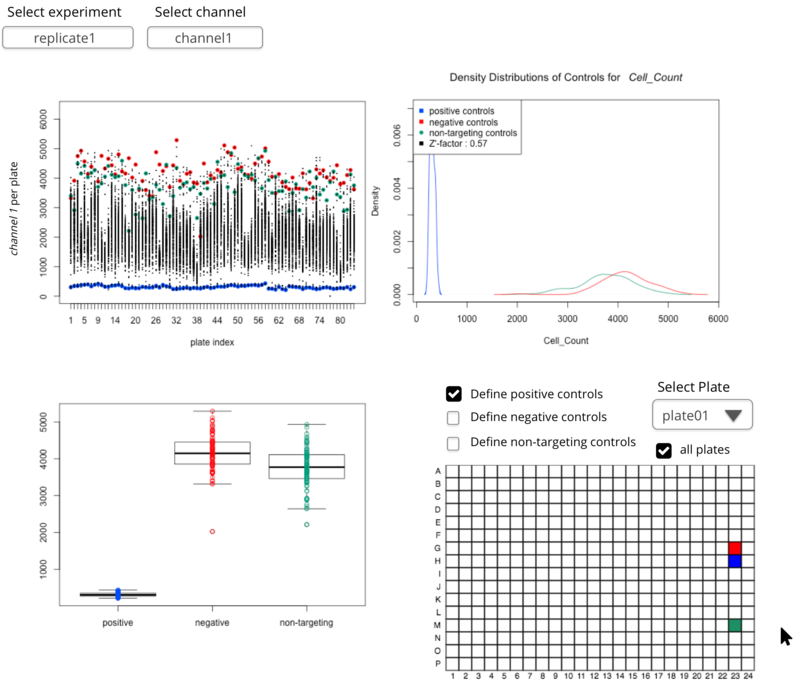 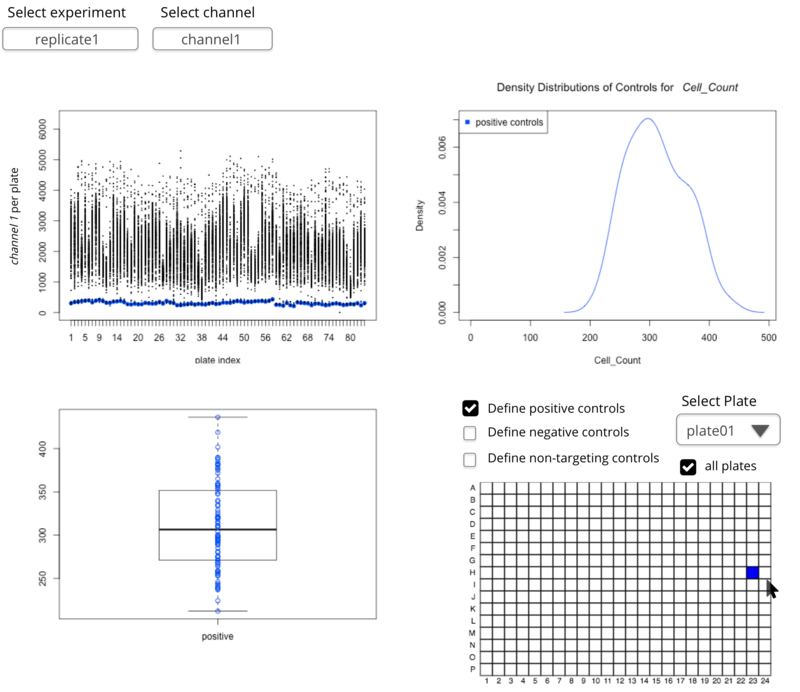 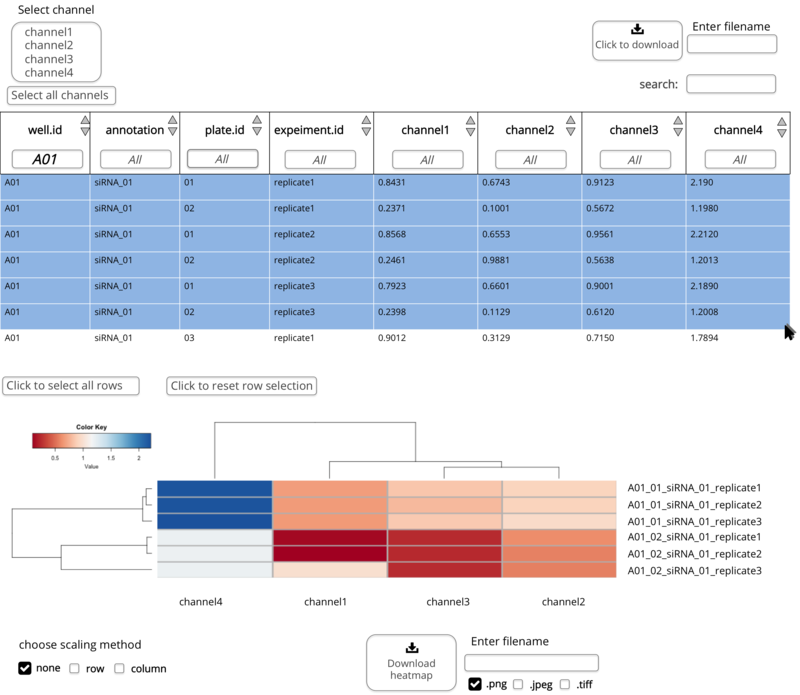 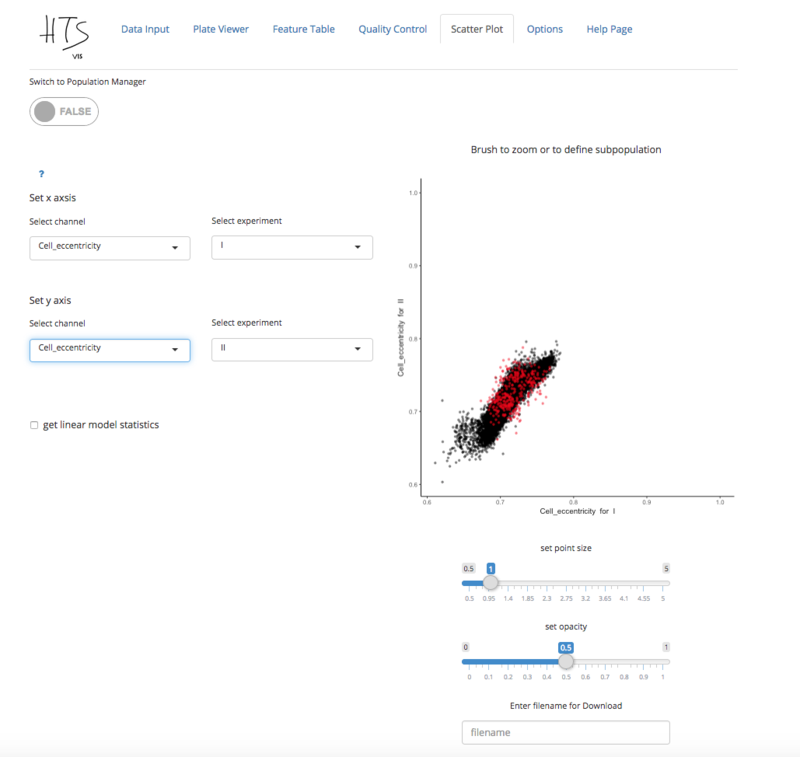 Here we present HTSvis, a web application to interactively visualize raw data, perform quality control and assess screening results from single to multi-channel measurements such as image-based screens. 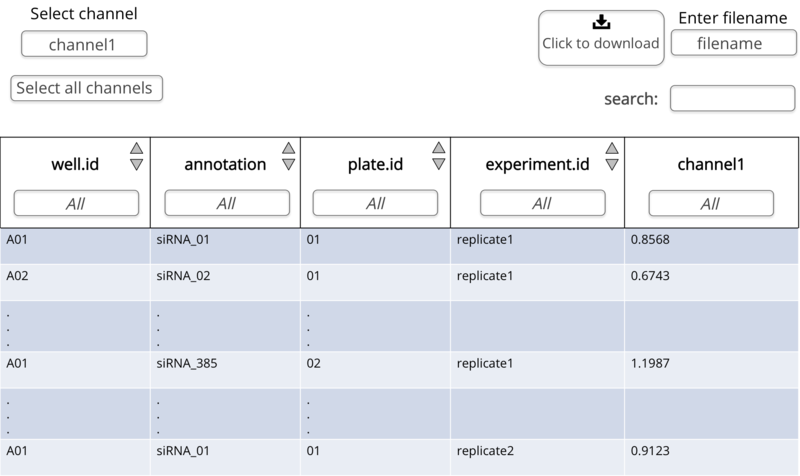 Per well aggregated raw and analyzed data of various assay types and scales can be loaded in a generic tabular format. 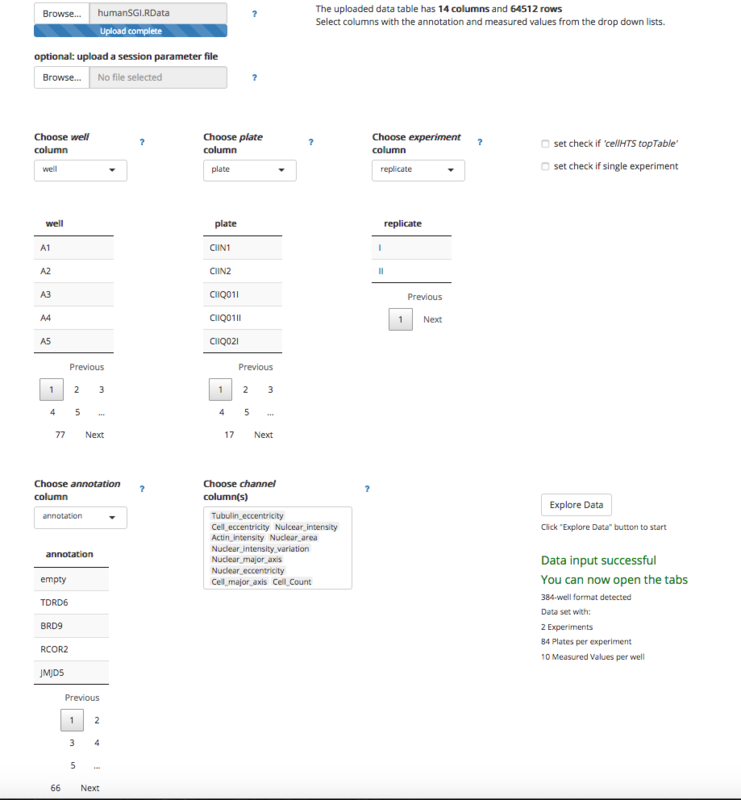 First, data has to be uploaded and submitted by the 'Explore Data' button on the 'Data Input' panel. 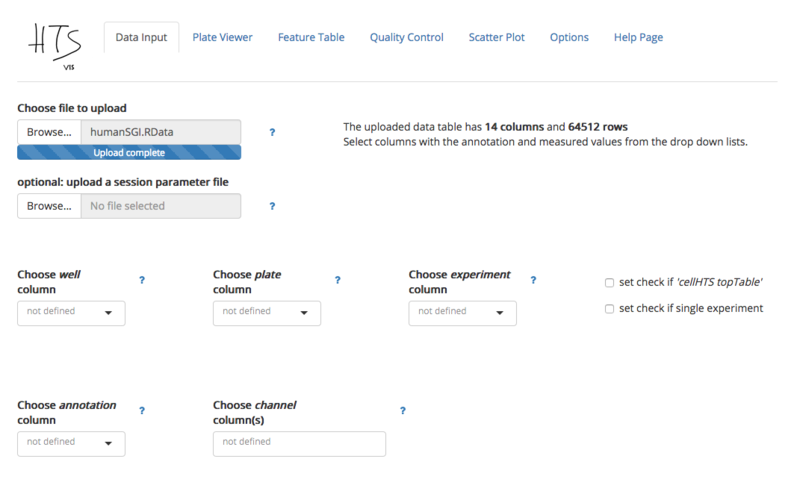 The 'Explore Data' button will occur once data has been uploaded and specific columns were selected. 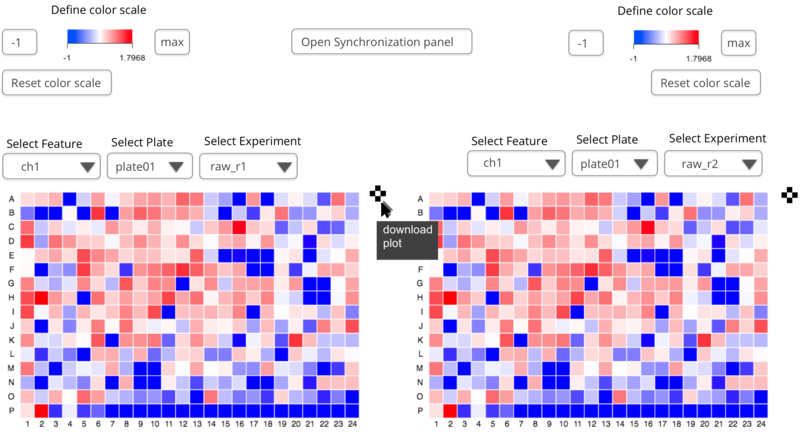 The option to download a session parameter file is provided here. 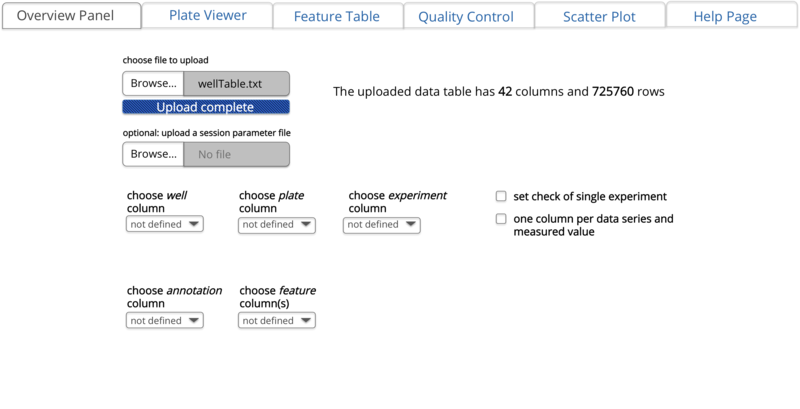 The downloaded file contains the Data Input parameters as set on the 'Data Input tab' and the controls defined in the 'Quality Control tab'. 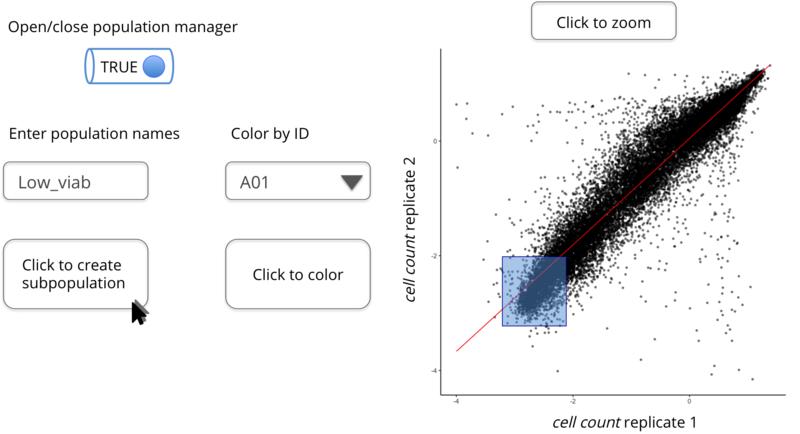 The session parameter file is a .csv file and should not be edited. 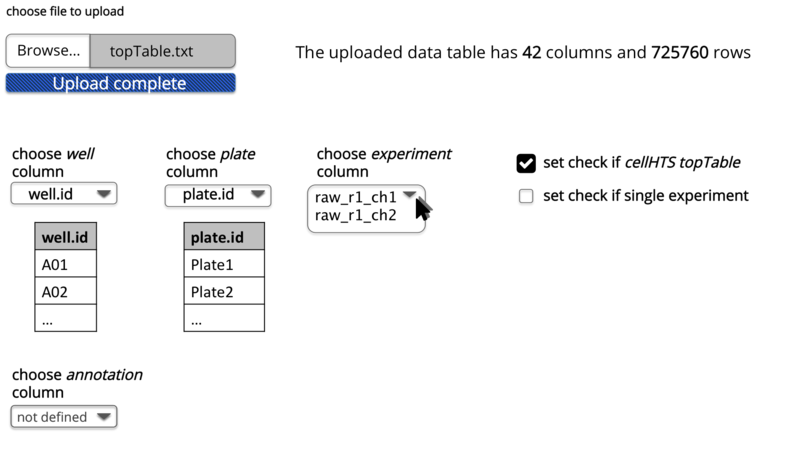 As ';' will be used to format the .csv, the columns of the input table for which the parameters will be saved should not contain ';'.